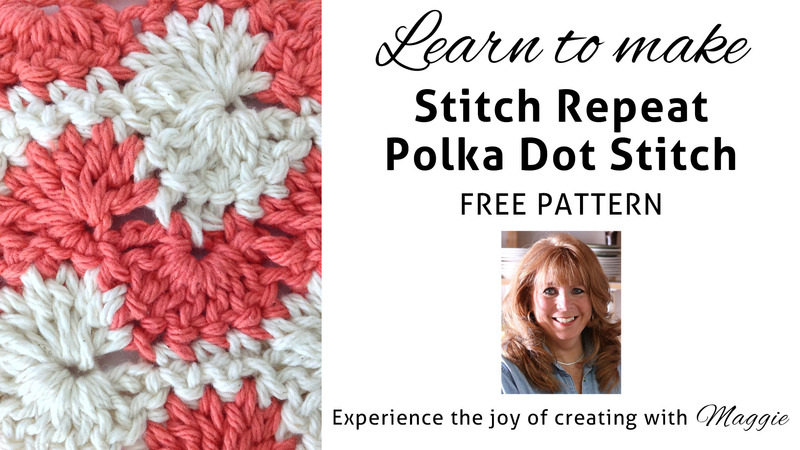 This fun Polka Dot pattern is a variation of the Catherine Wheel Stitch (click here to watch the Right and Left handed Catherine Wheel videos). In this photo we used one color for our polka dots and another for the background, but you can also make each row of polka dots a different colors (watch the tutorial video below for an example). Click the photo for the Polka Dot pattern. 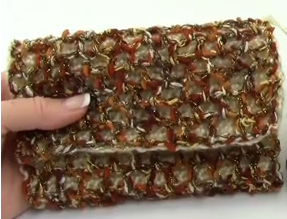 This stitch repeat can be worked with any size yarn. 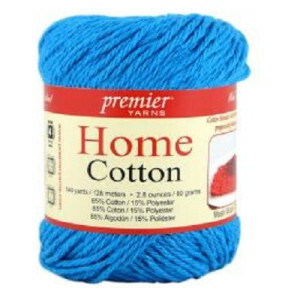 Use the hook size recommend for whatever yarn you choose. Worsted weight yarn is a good size to practice with. Love this stitch! Want to do it ASAP! Also, was so glad she added her plan for edging-an edging! This is very interesting and so far, my favorite. How about showing us some things made with this stitch? 23 stitches will be about 5 inches. How big do you want your baby blanket to be? For a 36 inch wide blanket, try 143 stitches (if it comes out too small, you can always add a couple rounds of a border). Thank you so much! Ill do that. 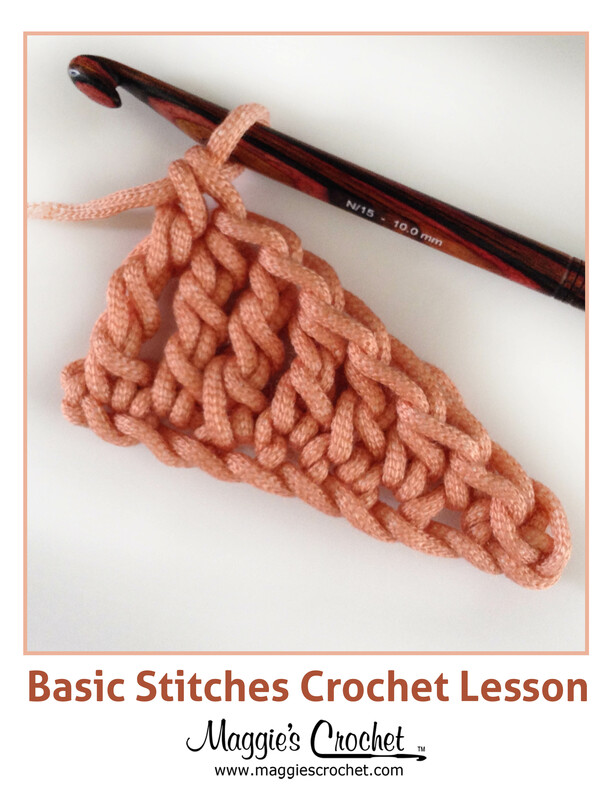 If I need it bigger than 143 stitches then just 23 more fir another 5 inches… I can’t wait to try this. I’ll send you a picture when I’m fine. I love your site! Hmmm. I’m not sure what’s going wrong. I just did a 143 stitch sample and it worked out fine. Make sure that you are skipping exactly three chs after each set of 7 dcs – it’s easy to miscount after the shell. If you’d like to send a picture of your work to christina.maggiescrochet@gmail.com, I’d be glad to take a look at it and see if I can see what’s going on. When starting the repeat from row 8 back to row 1 should I chain 1 after the half cluster? When I turn to sc in the second chain from the hook the half cluster on the eighth row looks wrong. Yes, there should be a turning chain there. Thanks for catching that! 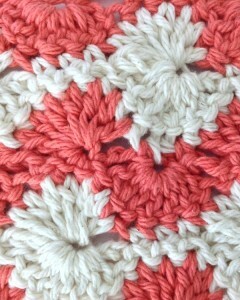 Working this stitch pattern in the round would be a little tricky. It may be easier to work it flat and then sew your edges together.